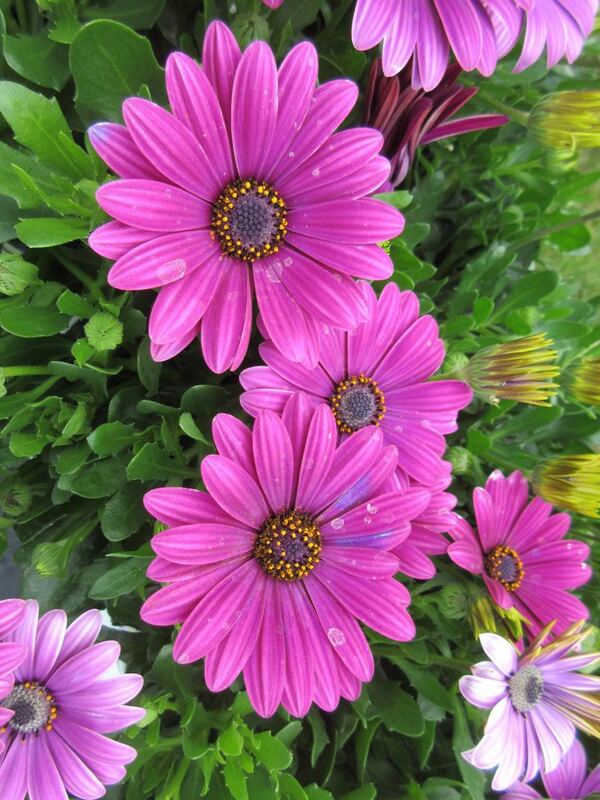 I’m a huge fan of observing and photographing cape daisies (Osteospermum ecklonis) as I find their flowers spectacular. 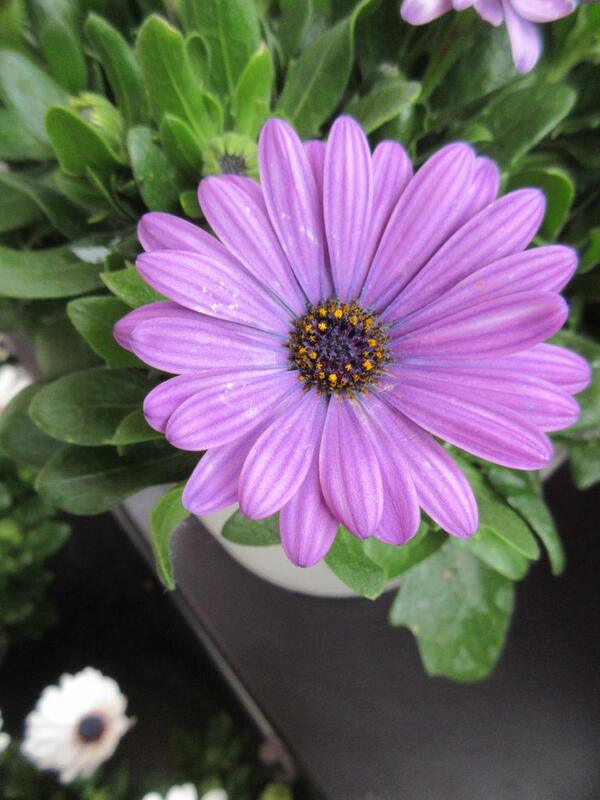 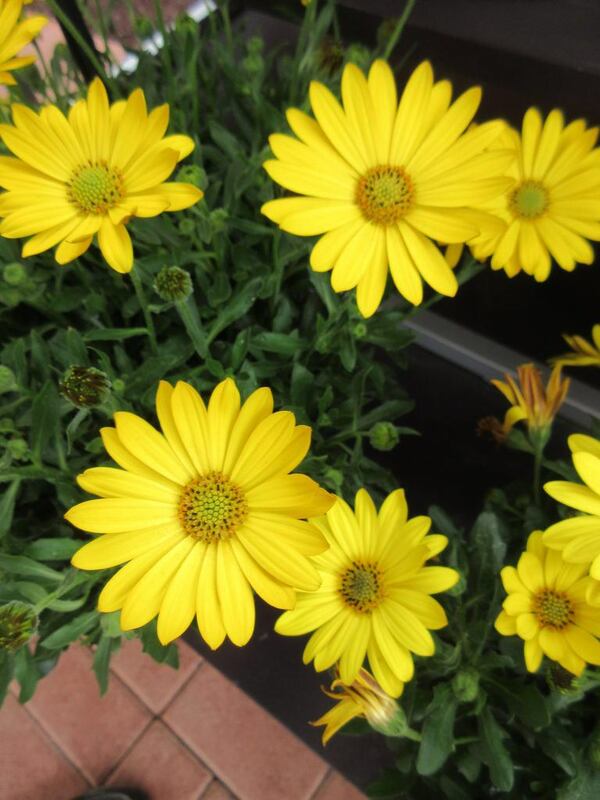 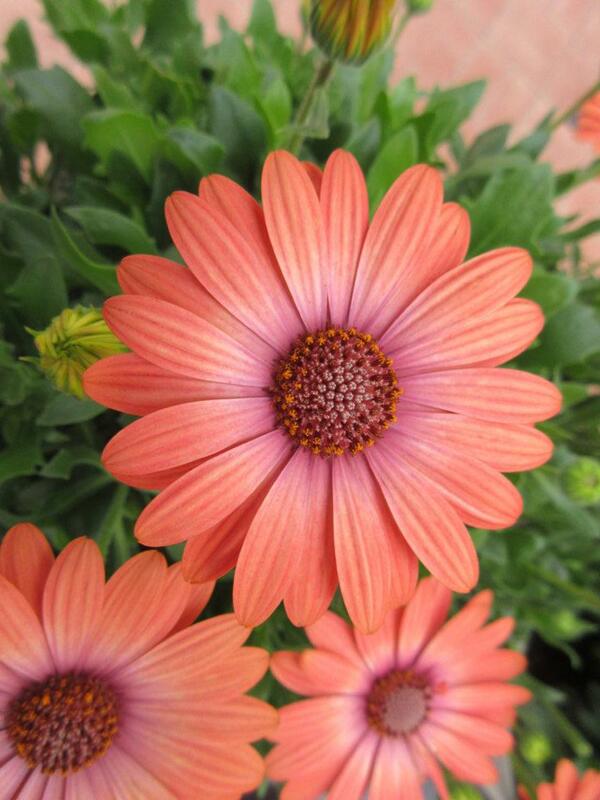 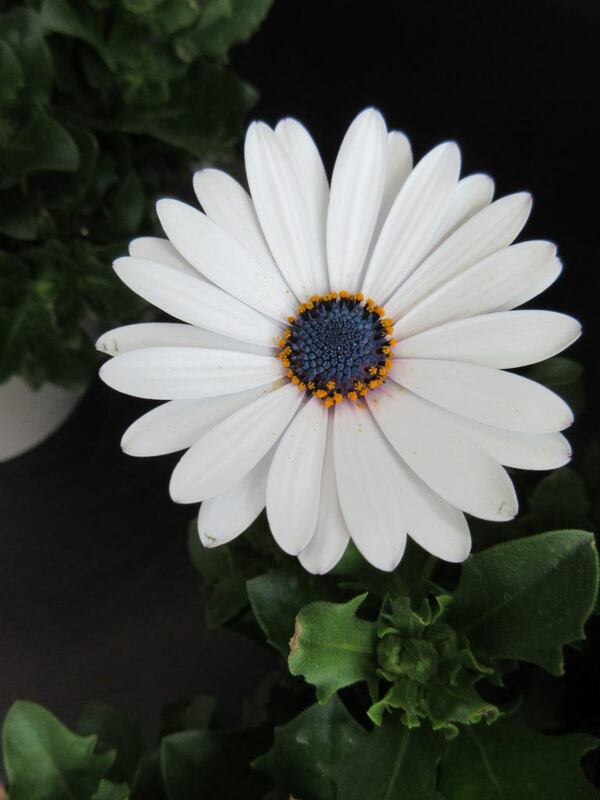 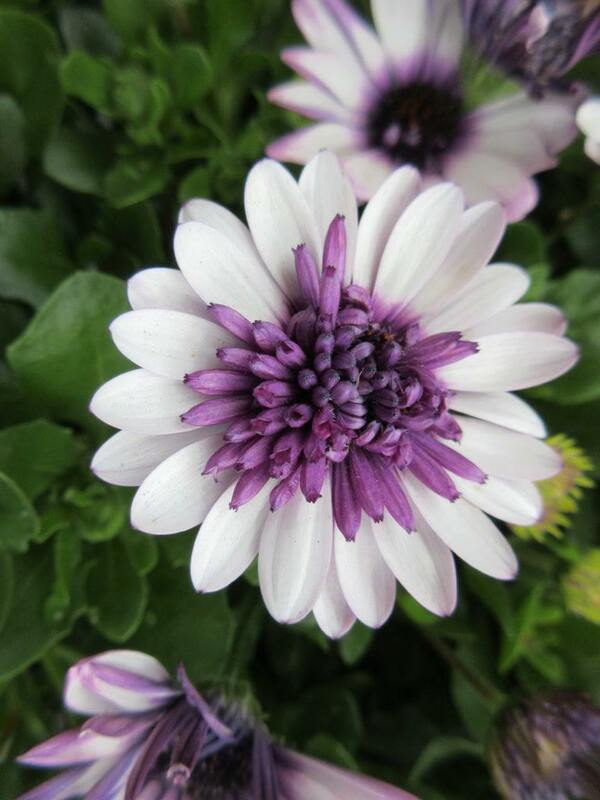 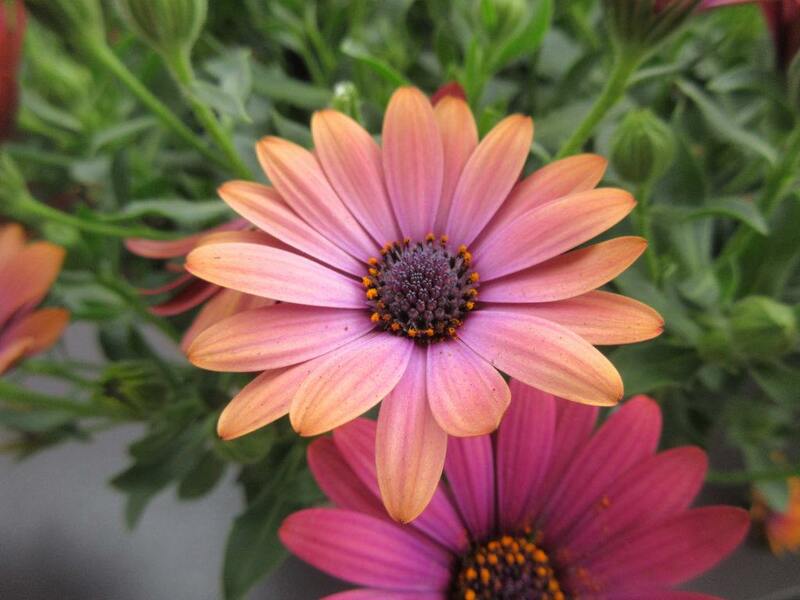 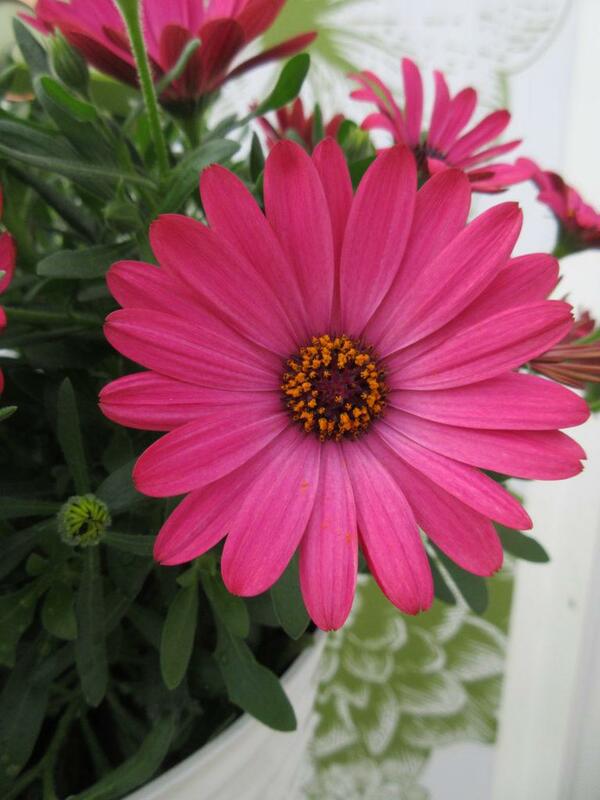 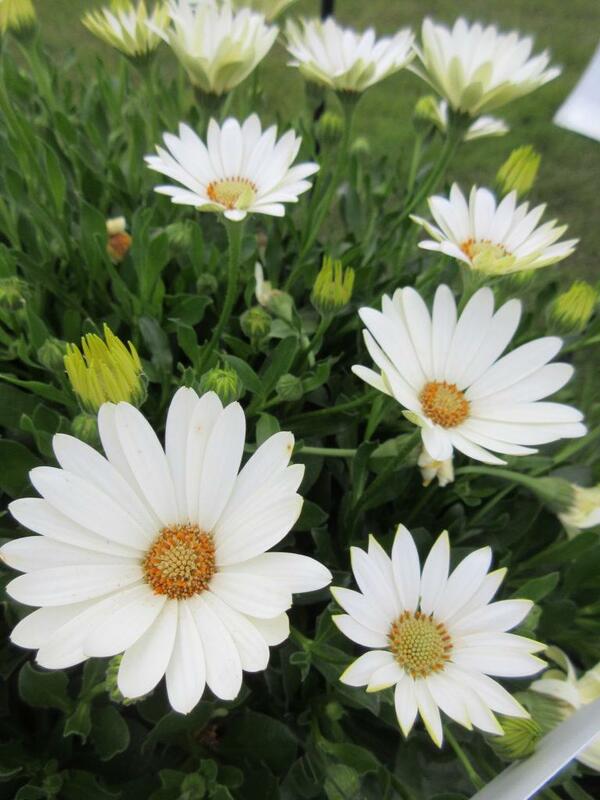 Also called African daisy, this annual continues to become more popular to a global gardening audience. 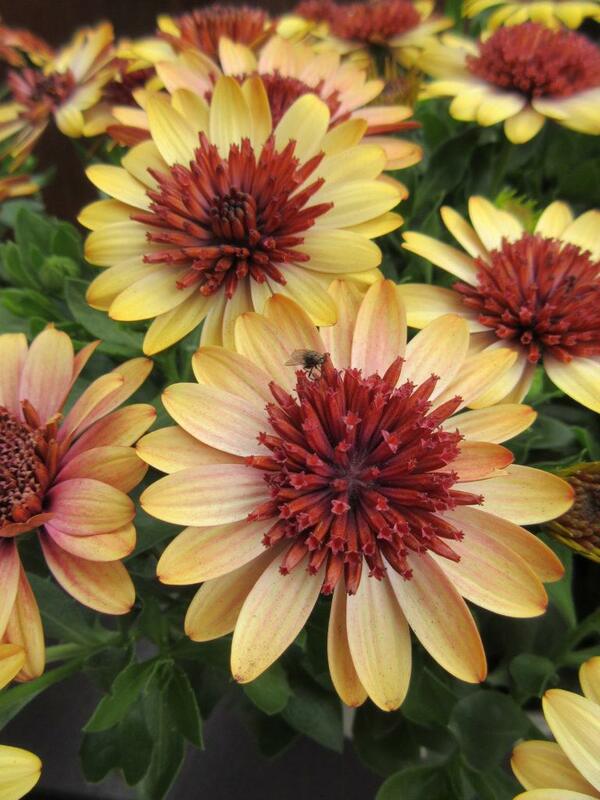 All of the photos in this blog feature some of the newer selections available or coming soon to the home garden. 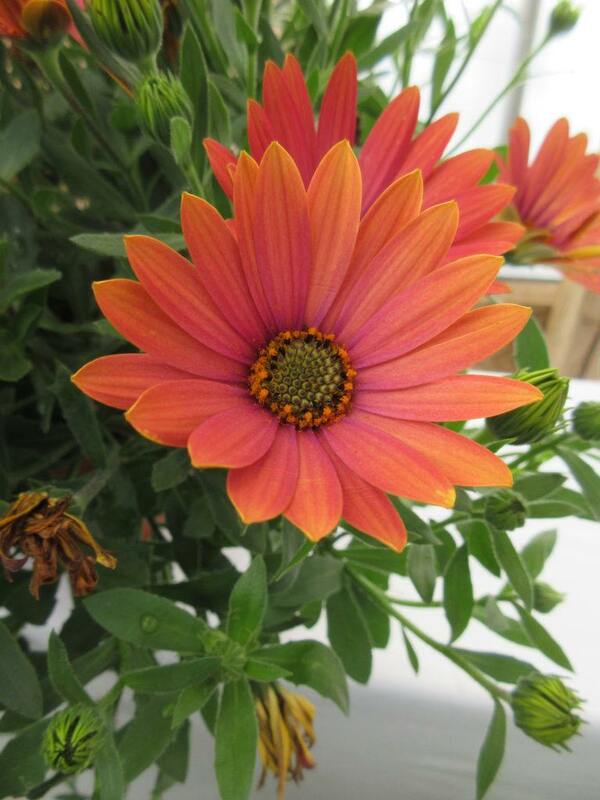 I saw these at the California Spring Trials (CAST) and enjoyed seeing some exciting new colors. 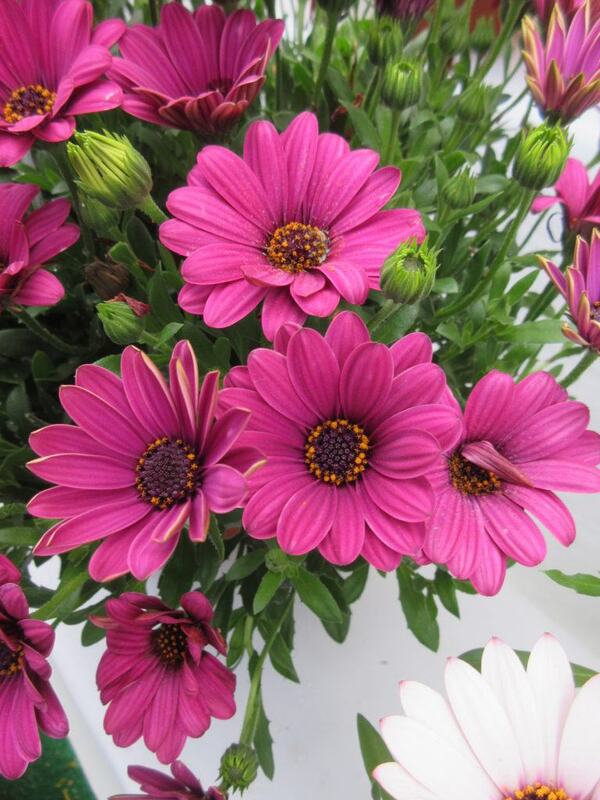 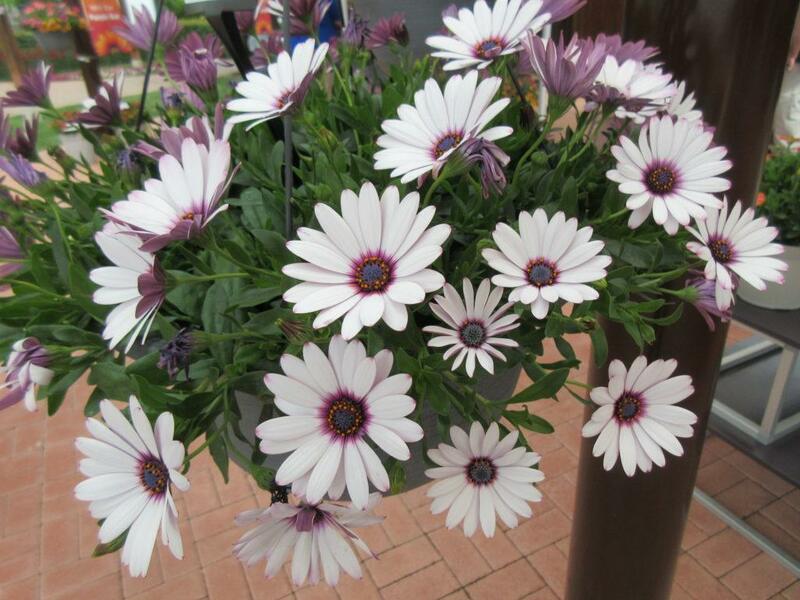 I’ve also seen Osteospermum used in fresh arrangements where they are spectacular. 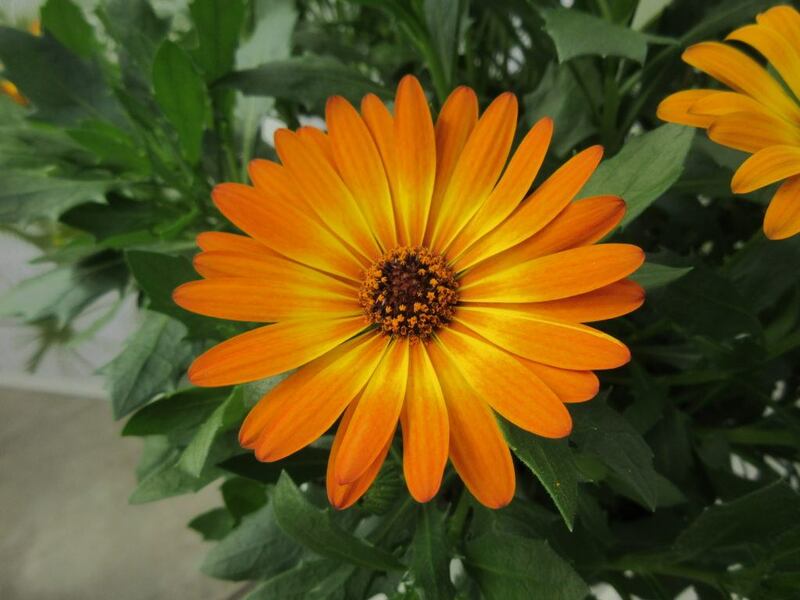 We’ve had mixed success with this annual (Z10-11 hardy) in our climate as they despise the hottest portions of our Midwest summers and will effectively stop blooming by mid summer. 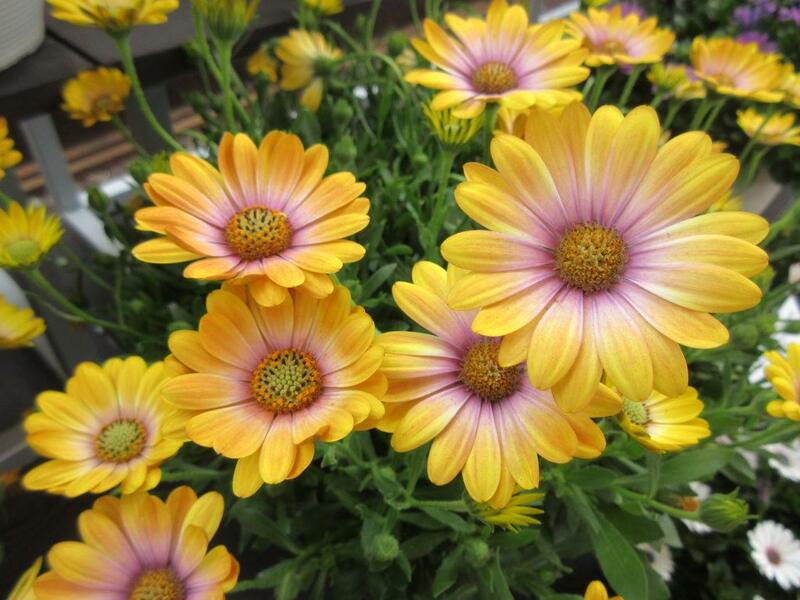 However, the color range of the flowers is truly amazing and the fact that they are deer and rabbit resistant are added bonuses in the landscape. 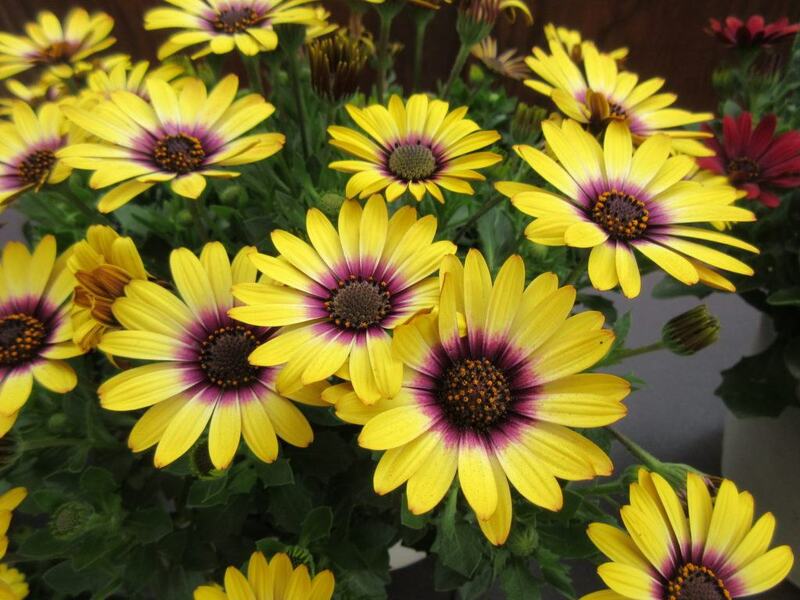 The flowers close at night and open as the sun reappears the next day. 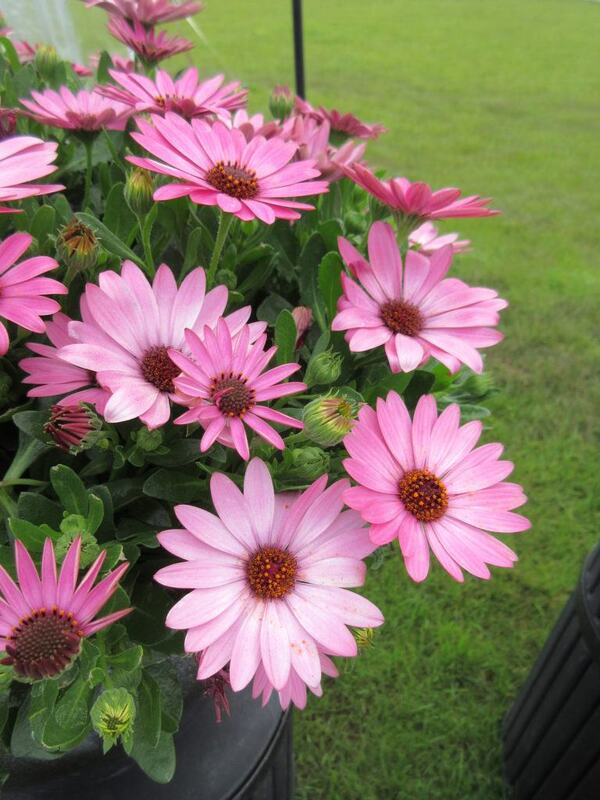 Preferring full sun in well-drained, rich soils, these plants will bloom strongly in to early July for us and then start slowing down. 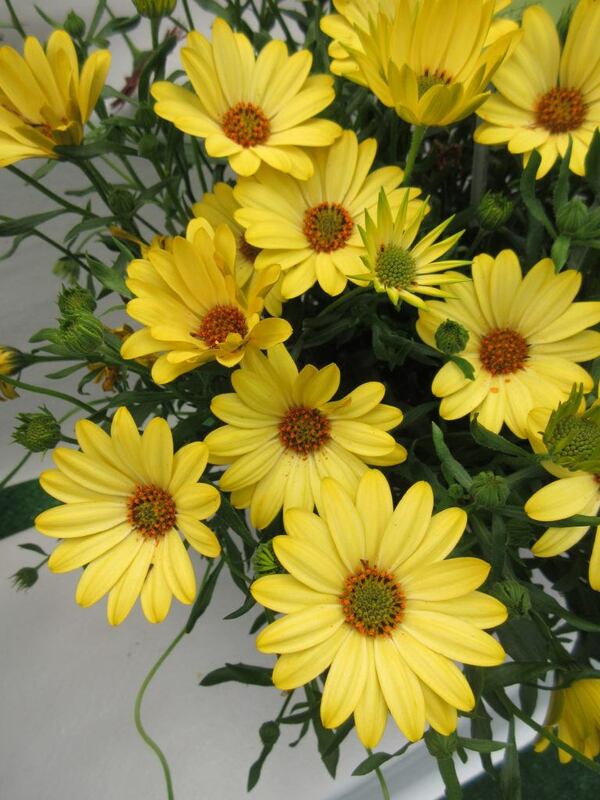 There is a danger in over-watering them so make sure drainage is provided. 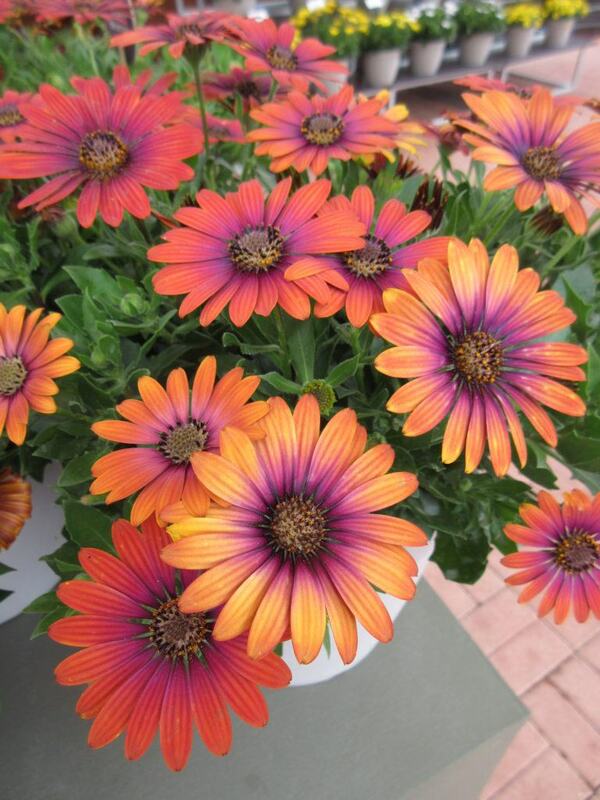 Using them for early season color is a great way of maximizing their appeal in the earlier months of the growing season. 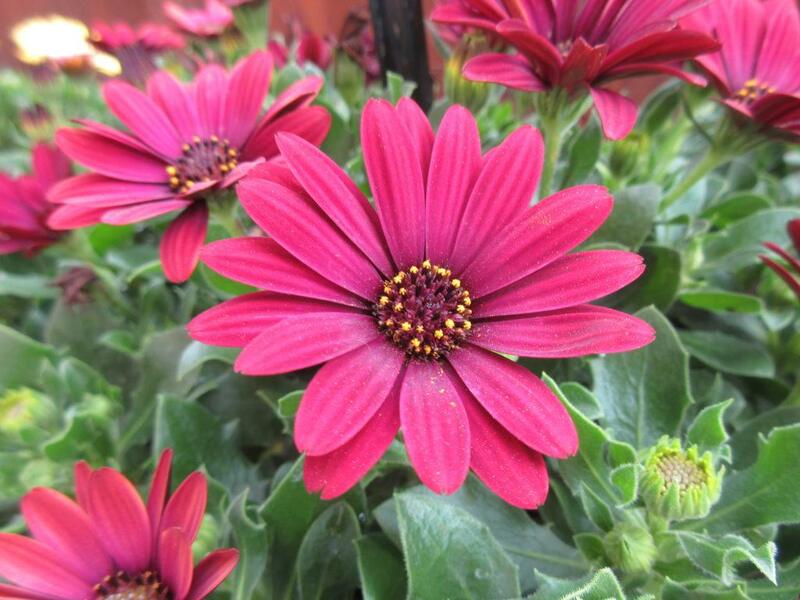 In our area, they will thrive in May and June although imminent heat will shorten the show but not the memories of this showy flower.